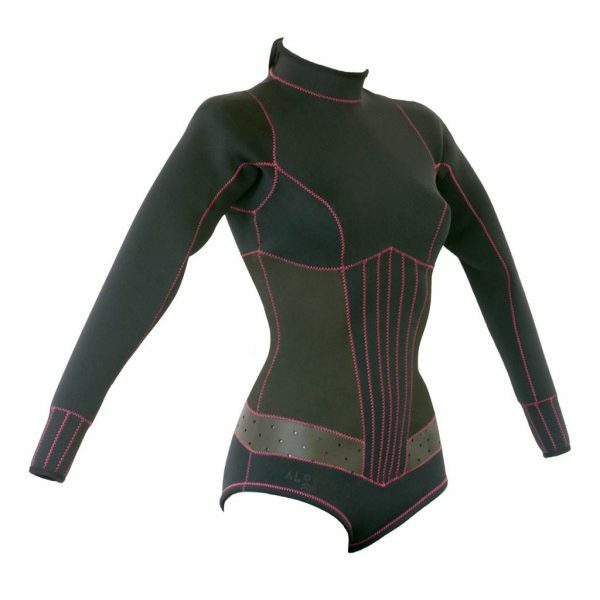 Three shades of black: jersey, shark skin neoprene and smooth skin neoprene with laser cut holes. Beautiful detail: rose thread, attractive seams, laser cut holes. 2 mm high quality neoprene to keep you warm and sun protected. Zipper going deep down the back for easy put on and off. 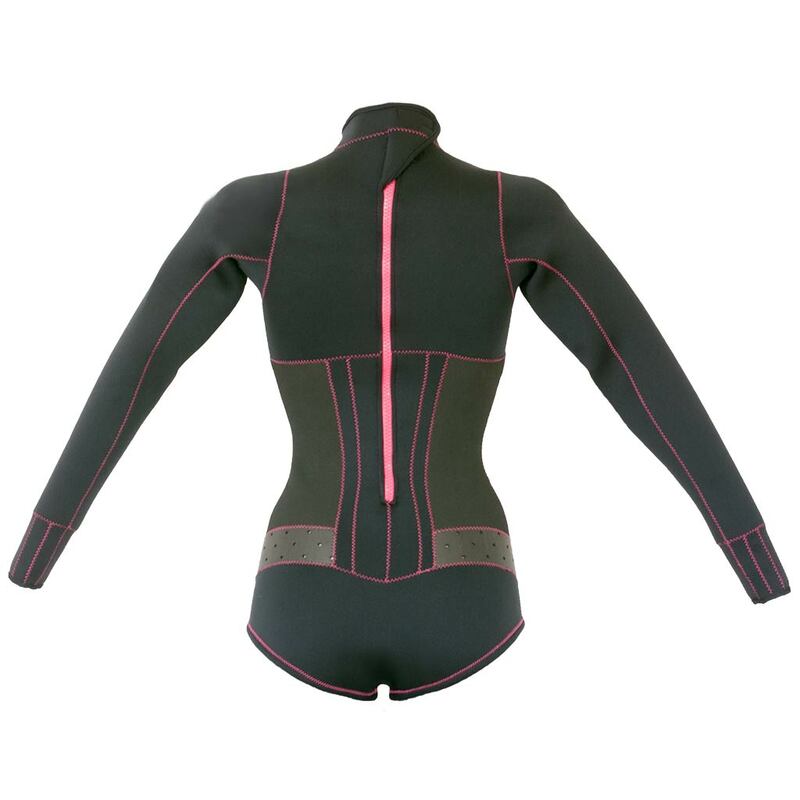 Feels and looks almost as a swimsuit, and you do not freeze in the wind or when having water activities for a longer time. Tested for kiteboarding, windsurfing and overall activities in spring – summer conditions.